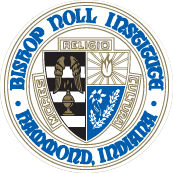 The Attendance Office is an essential department within Bishop Noll Institute. Students will visit the attendance office for tardiness, absences (both excused and unexcused), early dismissals, hall passes, and to purchase of locks, ties, or parking passes. Attendance rules and policies at Bishop Noll Institute are made for the benefit of the student. Regular attendance contributes to success in school. Missed instructional time can never be made up. We believe good attendance is an important part of education especially good attendance and time management skills are essential both out side of school and to help ensure future success. Punctual attendance is expected at Bishop Noll. Please see the current handbook under either the Parents or Current Students section for detailed information about attendance & absence policies and procedures.